Lee EmCee was chosen as the artist name which was derived from the nickname 'LeeBoy' at school; when Jeames would skip class, to avoid getting caught he would wear an under shirt with "LEE" in bold writing. One of his friends starting calling him LeeBoy and the name has stuck with him ever since. Freestyling in his spare time was just the beginning. Lee started writing rhymes in 2005, sights set on making music with true meaning behind the lyrics. Heavily influenced by 90’s hip hop which is represented in the style of beats and style of rap. Lee EmCee is in tune with the world around him and defines his own unique style of positive hip hop. Lee rhymes words of meaning, in a story like manner with hidden messages and smart lyrics. Whilst his mixtapes have shown a more personal side to this MC, the music being released nowadays is mostly focused on awakening the listeners minds and taking them on his spiritual journey. In 2010, Lee EmCee released his first MixTape consisting of 11 songs with beats from classic producers such as DJ Premier, Marco Polo, MF Doom, J Dilla and Large Professor. Also featuring collaborations from not only Australian MC’s but also Scottish and American MC’s. In 2013, Lee EmCee released his 2nd MixTape titled "Heads Up, Pen Down" consisting of 18 songs with beats from classic producers such as DJ Premier, Jazz Liberators, Marco Polo, J Dilla, MF Doom, Pretty Lights and Pete Rock. This project features more collaborations with Australian, Scottish and American MC’s and can see the progression in Lee’s flow and lyrics from the time since the last mixtape release. Hit song "A Demon Within" was immediately the crowd favourite! "A Demon Within" landed #20 on the Triple J Unearthed charts in May 2013; also "The Way We Act" landed #16 on the Charts in August 2013. Thanks to the request of fans, both songs were played live on Triple J Unearthed Radio! 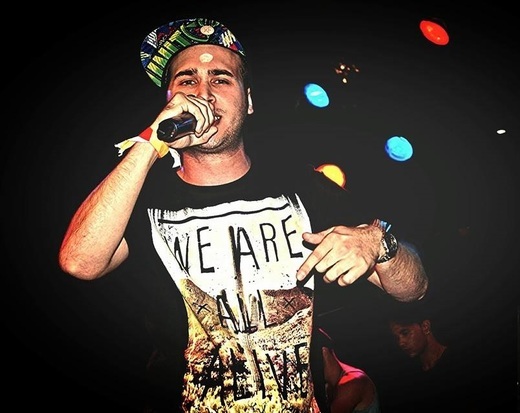 Lee EmCee performs at venues around Brisbane regularly and has supported many MC’s in various shows. Lee EmCee has performed 3 times as a support act for NJE at his showcase events, and also performed twice for both UNDERGROUND FEST. Be sure to follow on Social Media to be up to date with latest event details! Lee has almost finished his EP which is anticipated for release late 2017! The EP is titled “Society Trap” and is an original piece of work with beats sourced from Australian producers such as Cosmo, DJ Immaculate and Vampts. Unlike previous releases, this project has no collaborations and is a true representation of who Lee EmCee is. Keep an ear out for this one is not to be missed.